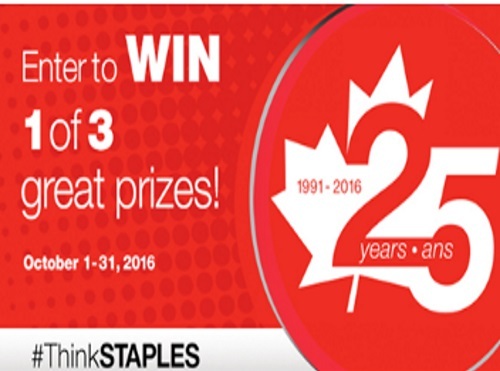 Staples is celebrating their 25th Anniversary with a contest! Enter to win 1 of 3 great prizes including: two tickets to the 2017 NHL All-Star Game at the Staples Centre in Los Angeles with flight included (approx value $5500), 25,000 Air Miles Reward Miles or $2500 Staples gift card! Contest closes October 31, 2016. Click here to shop Staples Anniversary Event on now too, with up to 90% off select items.